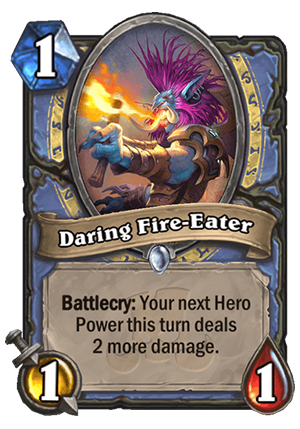 Daring Fire-Eater is a 1 Mana Cost Common Mage Minion card from the Rastakhan's Rumble set! Rating: 4.0/5. From 657 votes. I’ve already covered most of the Hero Power stuff when talking about Spirit of the Dragonhawk and Jan'alai, the Dragonhawk, so check out those if you want to read more of my thoughts. I don’t really see playing this in a regular Mage deck without other synergies. 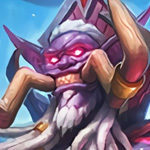 Look at it this way – would you play a 3 mana 1/1 that deals 3 damage? You probably wouldn’t, because it doesn’t sound very good. 1/1 is negligible and 3 damage for 3 mana is mediocre. It’s not a terrible card, but it’s not very good if you think about it this way. You need some synergies. The most obvious and strongest synergy is the one with Spirit of the Dragonhawk, but I’ll be honest – it’s still pretty clunky. It’s a 2 cards combo and 5 mana to deal 3 damage to 3 minions. Jaina is the queen of AoE, the class really doesn’t need something like that. That’s why I don’t think that a full-blown Hero Power Mage will work out very well. The card works okay in Odd Mage. The deck already deals 2 damage with Hero Power, so this pumps it up to 4, which means that it can clear most of the mid game plays, as well as deal some serious damage to the opponent. But maybe most importantly – it helps you get to the Jan’alai faster. In a deck that runs the 7-drop, you want to get it on the curve as often as possible. So if anything, that might be the best use for this card. It’s not particularly powerful, but it makes using an actually insane card more consistently. Now, the problem is that this is not a 1-drop. Odd Mage desperately need some sort of good 1-drop, especially after Mana Wyrm was nerfed. I will definitely try this in big spell mage with the spirit and the Rag-bird. Might not work, but I think it is going to be better than a lot of people think. If you drop the spirit on turn 2, and this plus ping on turn 3, at least against aggro, you will deal 9 dmg right then and there. Of course, this is the best case scenario, but I still think this will see play outside of odd mage. This card is pretty good for any control deck. I don’t know why people downtalk it. 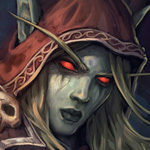 It is removal that has synergy with both Odd decks and any other hero power synergies such as Jaina. Now this card is pretty useless against control decks especially warrior and warlock as you don’t want to be drawing too much to delay fatigue and lowvalue cards like these are pretty bad in hand in that case. I doubt this will see play in purely control fatigue mages, but the card is good and might create new mage archetype. If Daring Fire-Eater sees play, it won’t be anywhere outside of Odd Mage and only if it plays the class’ Loa. Even then, I won’t put too much stock into it working out. Granted, three mana deal four damage isn’t terrible. Ok so basicly you need to play this card two times in odd mage and you have a copleted Janalai so this could be good. And 3 mana deal 4 with a 1/1 body is not garbage. A one mana minion that can’t played on turn one never works, and isn’t part of a game winning combo, never really works. Plz trust me guys. With the new loa, this card is part of a game-winning combo. Rag is cool, love the rag man, but it’s not game winning. Best example I’ve got in mind is the Arcane Articer, it’s not drop one to be droped on turn 1 (you even don’t keep it in hand for mulligan), it’s drop one so you can combo it with nice spell to get value. Arcane artificer has a way bigger, scaling effect. So, out of all these Hero Power cards Mage is getting, I think Jan’alai absolutely sees play in Odd Mage, might be enough to push Odd Mage into viability, and I think probably would run this card just because it’s so powerful to have Jan’alai active on turn 7. That’s your incentive right there: Jan’alai. Otherwise it’s a 3 mana 1/1 deal 4 damage, which seems fine but not amazing. -In Tempo Mage it’s 3 mana 1/1 deal 3, not going to say that’s completely off the table but seems underwhelming. -In Control Mage it can obviously be used to assist making an elemental with Frostlich, but I don’t think putting a card in your deck for the sole purpose of making an already insane card better is a good idea. Voodoo Doll pre-Frostlich is an Assassinate, a pretty reasonable card for a heavy control deck to play. This pre-Jaina is, again, a 3 mana 1/1 deal 3, and you’re not even interested in its burn potential. -In minion decks that run Book of Specters…maybe. It’s still not a great card, but that deck is starving for minions with control spell-esque effects. 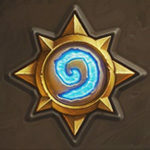 I still kind of doubt it, but I think if there’s anywhere you’re playing this for a 3 damage Hero Power, it would be here.